With a list of many hotels, motels and serviced apartments in Adelaide that provide business and holiday travellers with budget accommodation rates Budget Stay is a great place to book your next stay. It allows you to deal directly with any number of different Adelaide hotels and apartments and get the quality accommodation that you want at the cheapest possible rates that you can get. The Mercure Grosvenor Hotel Adelaide provides affordable discount economy hotel rooms in a great location on Adelaide's North Terrace. While you are staying at this budget Adelaide hotel you can try your luck at the Adelaide Casino, attend the theatre at the Adelaide Festival Centre or enjoy the shopping at Rundle Mall, which are all only a short walk away. Both holiday makers and business executives will enjoy the central Adelaide location close to many world class restaurants, cafes & bars, Sky City Casino, Adelaide Convention Centre and the National Wine Centre of Australia, which are within easy walking distance from this budget Adelaide accommodation. The cheap accommodation provided by the Adelaide Paringa Hotel is clean, comfortable and very affordable. Nearby attractions within walking distance of the Paringa Hotel Adelaide are the Rundle Mall shopping, the Torrens River, Sky City Casino, Adelaide Festival Theatre, Art Galleries & Museums, Botanic Gardens, Adelaide Zoo, Adelaide Convention Centre, Adelaide Oval, Central Market, China Town and the Adelaide Wine Centre. You can save money on this budget Adelaide CBD hotel which is located in the heart of the East End of Hindley Street, is only 20 minutes from the Adelaide Airport and offers discount hotel rates for longer stays. Located in the Adelaide CBD and just a short 20 minute drive from the Adelaide Airport and Keswick Train Station the Comfort Hotel Adelaide Riviera is ideal for your next holiday or business trip to Adelaide. This quality Adelaide hotel is situated next door to the University of South Australia City West Campus and has a range of Adelaide attractions nearby including the Adelaide Casino, Festival Centre, Botanic Gardens, Adelaide Convention Centre, Adelaide Entertainment Centre, Adelaide Cricket Oval and Memorial Drive Tennis Centre. All of the hotel rooms provide spacious, modern facilities and comfortable decor which makes it ideal for the budget conscious traveller. The Plaza Hotel Adelaide is conveniently situated on the famous Hindley Street which is in the centre of Adelaide's entertainment area. This amazing precinct has many fine dining restaurants, cool hip cafes and trendy nightclubs. This truly budget Adelaide CBD accommodation is positioned within walking distance of the Sky City Casino, golf course, Adelaide Convention Centre and a discount shopping guide to Adelaide's Rundle Mall area. The Plaza Hotel Adelaide is a traditional colonial style hotel with economy style rooms which include coffee/tea daily, telephone, refrigerator, colour TV, air-conditioning and an ensuite bathroom with shower and toilet. If you are looking for a central Adelaide hotel that definitely won't break the budget then look no further than the Plaza Hotel Adelaide. The Tollgate Hotel Adelaide provides affordable accommodation just 10 minutes from the very heart of Adelaide's city Centre. Situated in Glen Osmond this self-rated 3-star budget hotel / motel has been providing clean, comfortable Glen Osmond accommodation at budget rates for over 20 years. With a range of accommodation options including single, double, twin share and family hotel rooms The Tollgate Hotel Adelaide is particularly convenient for guests arriving in Adelaide via the south eastern freeway or departing Adelaide to visit the South Australia wineries. 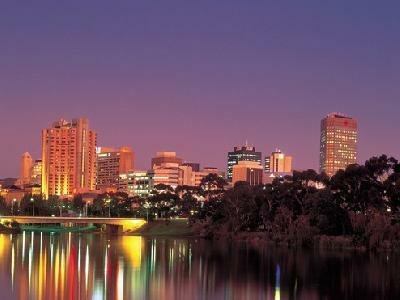 Cheap hotel accommodation in Adelaide at exceptional budget rates. Guests who choose to stay at the Adelaide City Park Motel will find it's central city location very convenient. This discount Adelaide hotel provides easy access to the Adelaide Casino & Convention Centre, Clipsal 500 V8 Track, Penfold's Grange Estate, Rundle Mall Shopping, Adelaide Central Market, Burnside Shopping Centre, National Wine Centre, Royal Adelaide Hospital, Botanic Gardens, Adelaide Zoo, Museum, Parliament House, Library, Adelaide University, University of SA, Adelaide Oval, Festival Theatre, Adelaide Tram to Seaside Glenelg Beach and the numerous restaurants, cafes and shops on King William Road, Unley Road and Norwood Parade. This boutique style Adelaide motel offers guests that personal touch with genuine hospitality and superior standards of both accommodation and hotel service. For the budget conscious traveller South Terrace Motel is the perfect choice. ountry Comfort Adelaide offers 3.5 star comfortable motel accommodation with a range of excellent services and facilities, all just a short stroll from the Adelaide CBD and shopping areas. No matter the reson for you travel, business or leisure, the South Terrace Motel provides discount accommodation in a great Adelaide CBD location. It also features a wide range of modern services such as bar area, business centre, conference centre, faxing facilities, free car parking, guest laundry, restaurant, room service, outdoor swimming pool, 24 hour reception and baby cots for hire. Opened in May 2008 and located in the heart of cosmopolitan North Adelaide, the Majestic Minima Hotel is a sleek, compact boutique budget 3.5 star hotel motel that is setting new trends in stylish yet inexpensive Adelaide city fringe accommodation. The Majestic Minima Hotel is well located in North Adelaide, meaning that it is close to everything that the city has to offer. As well as this the property also has numerous guests facilities and services including direct internet access, disabled facilities, guest laundry and lift access. The Welcome Inn 277 is a newly refurbished 3.5 star budget hotel centrally located on Glen Osmond Road, 4 kms east of the Adelaide CBD. A short 5 minute drive/bus will place you in the centre of the Adelaide city and the renowned King William Road designer shopping district. Staying at the Welcome Inn 277 in Adelaide allows you to make the most of the many guest facilities at this affordable property, including the business centre, direct internet access, faxing facilities, free car parking, guest laundry, restaurant, room service, tour desk, garden, atm/banking, security, baby cots for hire and daily housekeeping. Adelaide Motel & Backpackers offers budget hostel backpackers & hotel motel accommodation ideally located in the heart of the Adelaide CBD - the best and most affordable accommodation in Adelaide.Whether you need to stay in Adelaide for a day or a week, there are rooms to suit all budgets. No matter the reson for you travel, business or leisure, the Adelaide Motel and Backpackers provides discount accommodation in a great Adelaide CBD location. It also features a wide range of modern services such as bar area, direct internet access, faxing facilities, secretarial services, tour desk, atm/banking and airport shuttle. The Jacksons Motor Inn is a budget, clean & comfortable motel offering queen, triple, family & spa suites and hotel rooms in Glen Osmond, only 10 minutes from the Adelaide CBD. Jacksons Motor Inn is in a prime location, just off the South Eastern Freeway and opposite the beautiful Ridge Park Reserve. If you are looking for value for money hotel accommodation in Adelaide then the Jacksons Motor Inn is the ideal place for you. This budget hotel features a variety of rooms that are designed for maximum comfort, as well as great amenities like conference centre, direct internet access, free car parking, guest laundry, restaurant, room service, spa, outdoor swimming pool, baby cots available for families and daily housekeeping. For a long time business and leisure travellers have been staying at the Jacksons Motor Inn because of its unique home away from home feeling. Also the friendly and knowledgeable staff and excellent array of facilities at this cheap Glen Osmond hotel will ensure that your stay in the city is completely trouble free. The Atlantic Tower Motor Inn Adelaide provides a range of Glenelg accommodation catering for corporate business guests, romantic getaways and all types of holiday requirements. These quality hotel rooms include private balconies up on the 9th, 10th and 11th floor with spectacular views of Glenelg and the Adelaide city in any direction. Glenelg's new Holdfast Marina with it's boating facilities, shops, boutiques and a selection of cafes and restaurants is only 200 metres away from the Atlantic Tower Hotel Adelaide. Also Glenelg's famous Jetty Road, which features various retail outlets, restaurants and the cinema precinct is just a short 5 minute stroll from this discount Adelaide accommodation. The Adelaide Sorrento Meridien Serviced Apartments is situated midway between the city centre, which is 4 kms away, the Glenelg Beach and also West Beach. Guests staying in these discount Adelaide apartments have easy access to public transport with a bus to the CBD stopping at the front entrance. Wonderful hotel style amenities, a superb central Adelaide location and friendly service make the Sorrento Meridien Serviced Apartments an Adelaide accommodation favourite. All of the spacious, fully appointed 1, 2 or 3 bedroom self-contained Plympton apartments at the Adelaide Sorrento Meridien come complete with full kitchen facilities, individual reverse cycle airconditioning & ceiling fans, remote control TV with FOXTEL and a personal safe in your apartment. North Adelaide Boutique Stayz Accommodation offers quality, affordable, 3 star studios and 2 bedroom serviced apartments in Adelaide. Only 2km from the CBD, North Adelaide Boutique Stayz Accommodation boasts value for money in a prime Adelaide location. Staying at the North Adelaide Boutique Stayz Accommodation allows you to make the most of the many guest facilities at this affordable property, including the direct internet access, faxing facilities, free car parking, guest laundry and tour desk. The BreakFree Directors Studios offers 3 star affordable hotel accommodation & studio apartments centrally located along Chinatown in the Adelaide CBD.Located within close proximity to the thriving Adelaide central business district and major Adelaide city attractions, BreakFree Directors Studios is perfectly suited to both business and leisure travellers. No matter the reson for you travel, business or leisure, the BreakFree Directors Studios provides discount accommodation in a great Adelaide CBD location. It also features a wide range of modern services such as direct internet access, disabled facilities, guest laundry, lift, massage, room service, tour desk, 24 hour reception, baby cots for hire and babysitting service. Loctaed within walking distance of the city centre and Adelaide's delightful parklands the City South Apartments Adelaide is an exceptional budget accommodation option for both corporate and holiday travellers. Providing unparalleled charm and character, the City South Apartments Adelaide offers guests friendly and affordable accommodation in secure, fully self contained apartments. These business Adelaide CBD self contained apartments are situated in a quiet environment within the city centre and are only a short stroll to the CBD and Central Markets. The City South Apartments Adelaide are also within walking distance to Gouger Street with it's many gourmet restaurants and cafes and a short distance from the village shopping in Unley. Mansions on Pulteney is a budget alternative to traditional hotel accommodation, offering guests a spacious heritage style apartment for the price of a hotel or motel room. Conveniently located in the heart of Adelaide city, Mansions on Pulteney Serviced Apartments are located between Rundle Mall & North Terrace. If you are looking for value for money hotel accommodation in Adelaide then the Mansions on Pulteney is the ideal place for you. This budget hotel features a variety of rooms that are designed for maximum comfort, as well as great amenities like lounge bar, direct internet access, faxing facilities, guest laundry, lift, restaurant, room service, secretarial services, tour desk, bbq facilities, security and babysitting service. The Mansions on Pulteney is a popular place to stay in the Adelaide CBD because of its wide range of hotel facilities, central location and friendly customer service. Travellers who choice to stay in these budget Adelaide CBD apartments will find themselves within close proximity of everything that the city has to offer. The affordable and spacious apartment accommodation that the Carrington Gardens Apartments in Adelaide provides is only a short stroll from the Adelaide CBD and the Central Markets. The friendly staff at the Carrington Gardens Apartments are happy to help guests with organising sight-seeing tours in and around Adelaide or other travel ideas about the wide selection of gourmet restaurants, cafes and stalls nearby. The Carrington Gardens Apartments Adelaide is ideally positioned in a quiet location just a short stroll from the city centre and parklands and provides the perfect home away from home whilst staying in Adelaide. Surrounding by a relaxing secure outdoor area and with spacious 2 bedroom apartments this budget Adelaide accommodation is perfectly suited to overnight, long term stays or visitors needing convenient access to the Glenside hospital in Parkside. There is even a spa and sauna which guests can enjoy after a busy day at work or sight-seeing. If you are looking for budget apartment accommodation in the quiet and peaceful area of North Adelaide then the Vines Apartments is the place for you. Situated on Melbourne Street, which is the heart of North Adelaide with its many restaurants, cafes, bars and shops, the Vines Apartments Adelaide provides an affordable choice of fully self contained accommodation. All of these North Adelaide apartments include a fully equipped kitchen, private balcony, remote control TV with video, fully equipped laundry and security access to the building. The Vines Apartments Adelaide is conveniently situated close to the Adelaide Oval, Adelaide Zoo and only 5 minutes to the Adelaide CBD and 15 minutes to the Adelaide airport by taxi.